In the past, the USA has almost always gone along with Israel’s lies. But now there are signs that the American leadership, and the American people, may be waking up. 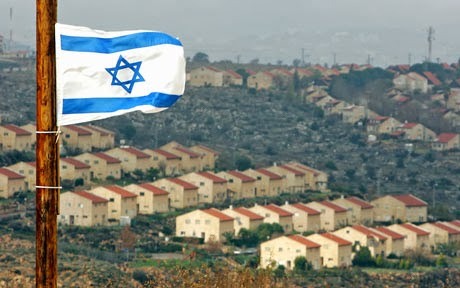 Yesterday, the American Secretary of State John Kerry clearly stated that the US, like the rest of the world, considers Israeli settlements illegal: “Let me emphasize at this point the position of the United States of America on the settlements is that we consider them... to be illegitimate.” Obviously Kerry and US leaders are not buying the ludicrous claims of the Likud Party, which has dominated Israeli politics since 1977, that all of historic Palestine belongs to the Zionists. But Kerry and the rest of the US leadership are not really challenging the Zionist lies. 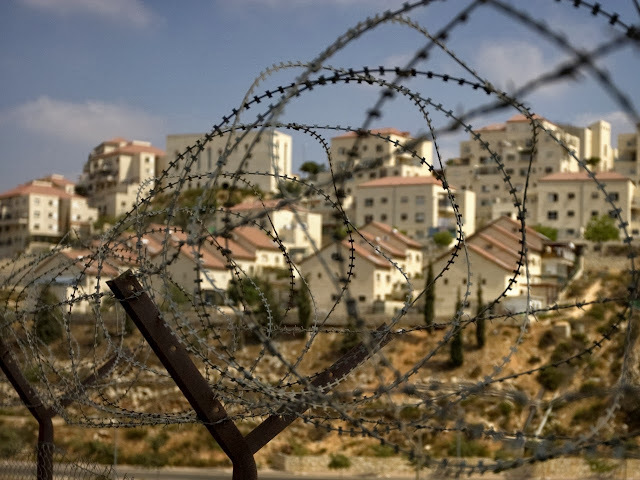 They are not even insisting on a freeze on new settlements, much less demanding that the Zionists immediately withdraw from all lands they stole in the 1967 war of aggression. And the whole truth - that the entire Zionist occupation of Palestine is illegitimate - will never pass the lips of American leaders. The US media, like the US government, is largely owned and occupied by agents of Israel. Normally it spins every story it touches in a pro-Israel direction. That is why it is so interesting that big American media have at least slightly deviated from the Zionist party line on three key issues: The Israeli-assisted coup d’état in Egypt, the war on Syria, and negotiations with Iran. Gen. El-Sisi was Israel’s liaison to the Egyptian army prior to the coup that overthrew President Morsi last July. The coup was staged with massive Israeli support. Yet the Zionist-dominated US media, despite its affinity for Israel, has been offering relatively balanced reporting on the horrific situation in Egypt. The New York Times, in particular, has been fair-minded in its coverage, including recent stories on the kangaroo court staging what the Times called the “show trial” of President Morsi. The Zionist-dominated US corporate media has also surprised many observers by its reluctance to propagandize enthusiastically for escalation of the US war on Syria. When Saudi intelligence, backed by the Israelis, staged the false flag chemical weapons attack in al-Ghouta last August, it seemed a foregone conclusion that the US would be dragged into yet another Mideast war for Israel. But the media provided only halfhearted, lukewarm war propaganda, even as AIPAC and the rest of the Israel lobby led the push for war. For once, the Zionists were defeated in Congress, thanks in large part to the media’s lack of enthusiasm in fanning the flames of war. Another surprise has been the Zionist-dominated corporate media’s relative restraint in its reporting on recent negotiations with Iran. Since 1979, the US media could always be relied upon to produce mendacious and vitriolic anti-Iran propaganda on a regular basis. Just a few years ago, it was mistranslating statements by then-President Ahmadinejad and mischaracterizing the peaceful Iranian nuclear energy program. Today, the US media is sending mixed messages about Iran. There is still a certain Zionist-derived anti-Iran slant to much of its coverage. But it has also provided a fair amount of relatively favorable reporting on the new Iranian administration, and is putting out less blatantly biased coverage of the nuclear negotiations. An example of the new trend is a recent Associated Press (AP) article headlined “FACT CHECK: Israeli claims on Iran nuclear program.” The AP article “fact checks” seven Israeli claims about Iran’s nuclear energy program, and finds that six are either false, exaggerated, distorted, or deceptively taken out of context. The AP cites Netanyahu’s claim that Iran’s heavy water reactor in Arak, has “no connection with energy for peace, but only for nuclear weapons,” then points out that this claim is complete nonsense. The article points out that Israel’s claim that Iran has “systematically defied the UN” is an exaggeration. Unfortunately, the AP does not choose to inform its readers that Israel has itself defied more UN resolutions than every other country on earth put together. The AP cites Israel’s claim that Iran has 18,000 centrifuges, and points out that of these only 10,000 are active. The article pokes holes in Israel’s claim that because Iran has an enrichment program it must want nuclear weapons, by pointing out that at least five countries have enrichment programs but have not built nuclear weapons. The only Israeli claim that the AP verifies is that “sixteen countries have nuclear technology but do not enrich uranium.” But this claim means nothing, since many other countries do enrich uranium without building weapons - which is precisely what Iran wants to do. The AP heaps subtle scorn on Netanyahu’s claim that Iran is “building these long-range intercontinental missiles to reach the United States.” The only basis for it, we learn, is that Iran has a space program - which has “raised concerns that the same technology could be used to develop an intercontinental arsenal.” By Netanyahu’s logic, any country with a space program must be planning to nuke the USA! It is heartening to see John Kerry declaring Israeli settlements illegal, and the Associated Press exposing Netanyahu’s lies about the Iranian nuclear energy program. It is even more heartening to see the Anti-Defamation League (ADL) admitting that American anti-Israel groups are growing in numbers, power, and effectiveness. I recently interviewed Alison Weir of IfAmericansKnew.org, who was overjoyed to learn that her group had been attacked by the ADL as one of America’s most effective anti-Israel groups.